James Dalton commenced the building of a mansion, which he named Duntryleague, in 1876. The house befitted a man of considerable means. The name of the mansion was taken from near his birthplace with the literal meaning “the fort of the three flags or pillar stones”. James Dalton lived at Duntryleague until his death in 1919. On his death, the house and property were left to his younger son Patrick who had become a Jesuit Priest. 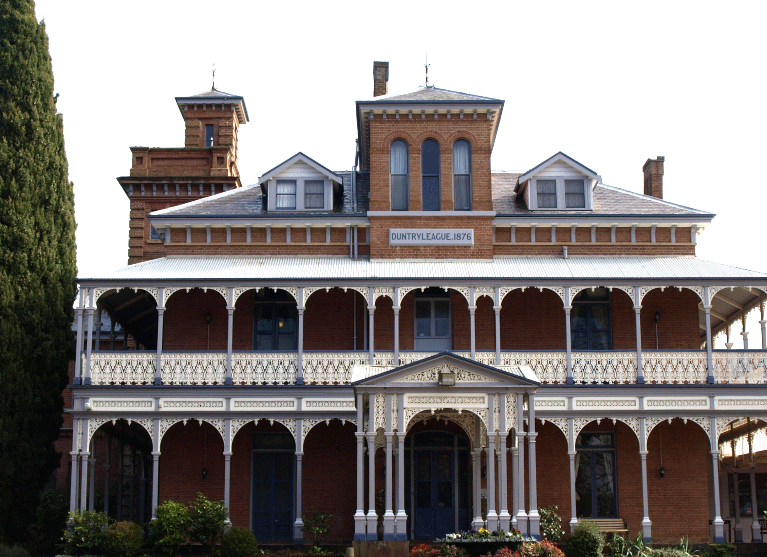 It had been James’s wish that the mansion become a provincial Jesuit College, but this idea was rejected by the Bishop of Bathurst. After 43 years with the Daltons and 16 years with the Catholic Church, the Orange Golf Club Ltd would take care of Duntryleague for the next 81 years. From the day it was built Duntryleague became the City Icon and, during the ownership of the Golf Club, Duntryleague would become a community treasure open to the general public and wider community. Our vision is to make Duntryleague Australia’s leading historic, golfing, social and corporate experience. As we move towards this vision we continue to improve all our facilities and services. The Duntryleague Mansion Project supports the restoration and preservation of the heritage buildings. CARPETS in the Dalton Room at an estimated cost of $25,000-00. 2ND BATHROOM IN MARGARET DALTON LODGE at an estimated cost of $25,000. RESTORATION OF THE PORTE COCHERE at an estimated cost of $150,000. Duntryleague Development Fund: The Duntryleague Development Fund supports the maintenance of the golf club facilities and promotion of golf.